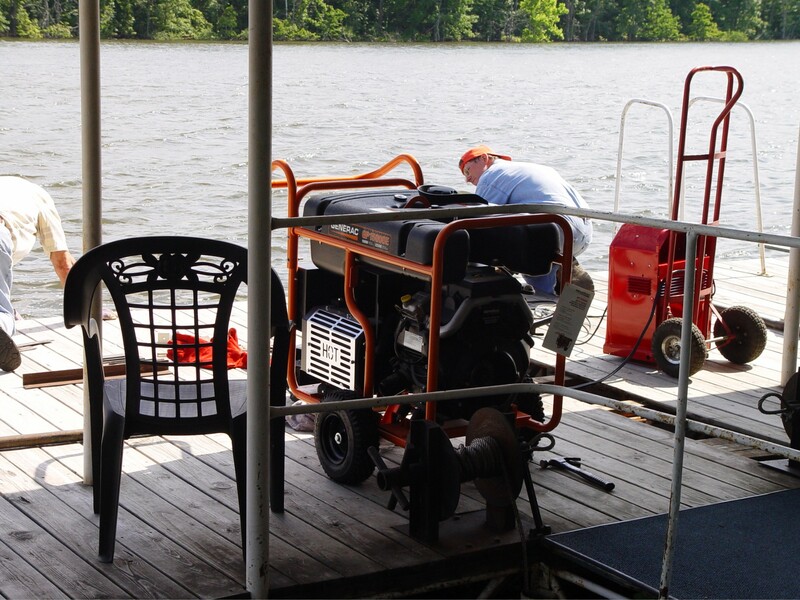 How would you go about getting a 400+ pound generator onto a dock? Frank and my Dad took the beastly generator over to George’s Cove and then loaded it onto the 18-foot pontoon (after taking the boat’s front railing off). Once the generator was on the front of the pontoon, they had some difficulty getting the boat off the shore! 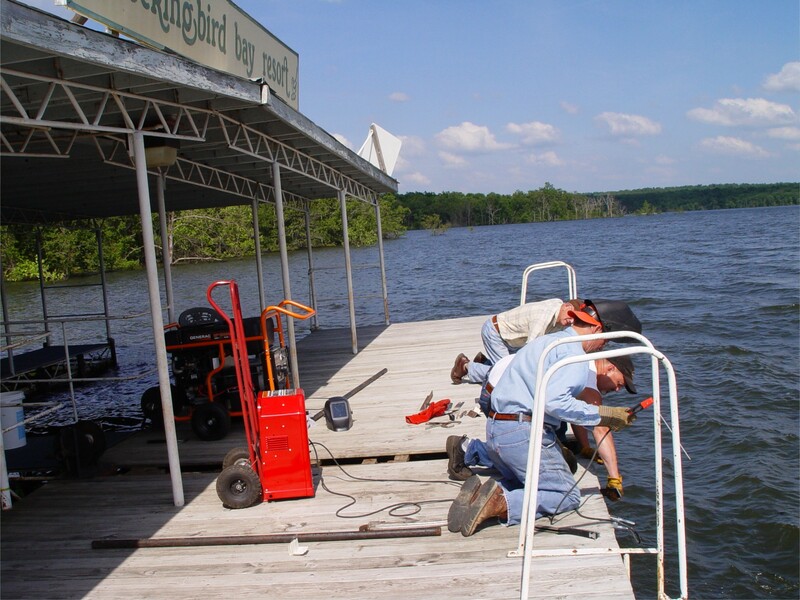 But eventually, the generator made it to the swim deck, where Frank, Kevin and Buddy-Jack worked for several hours welding steel reinforcements onto the dock frame. The broken steel dock piece has been fixed and the entire swim deck is now steel-fortified. Mission Accomplished! This entry was posted on Wednesday, June 1st, 2011 at 1:24 pm and is filed under Not All Play at the Bay, Uncategorized. You can follow any responses to this entry through the RSS 2.0 feed. You can leave a response, or trackback from your own site.